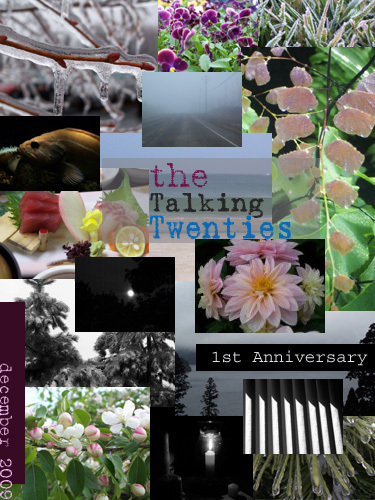 December 1st marks the first anniversary of The Talking Twenties Blogzine. You’ll notice we have a new look to commemorate the start of our second year, and have undergone a lot of changes since our debut in 2008. For that reason, I’d like to share some of our goals with our readers for our little blogzine’s second year. In one year we’ve seen two face lifts, a few category changes, a handful of guest articles and the establishment of two regular “staff” writers (well, plus me). We have just a few Twitter followers, and 26 fans in our Facebook group. We’ve also gotten a Contributing Editor (Julienne) out of one of our writers, and I’m perpetually thankful for the guidance and general use as a sounding board which she has graciously provided. Any new publication has some kinks to work out (like our Cover Design contest for this issue that didn’t quite work out), but when I look at how many articles we have I feel proud of what we’ve accomplished so far. But we are sooooo, SOOOOO not done! To date, we have almost 3,000 hits. By the second anniversary I’d like to see that number reach at least 7,500, with weekly publication to encourage regular viewership and bring more great articles to our readers. I also hope to see the addition of 2-3 regular writers, more user participation through comments and one-time or occasional article submissions, the purchase of a domain name/blog upgrade, and further incorporation of other types of media, including more photography, artwork and video. I’d like to generate more interest and bring in the thoughts of more individuals who may not feel as comfortable writing as our regular staff, but who can still express themselves through media like guitar, video or short film, poetry, and by weighing in on what will be our monthly polls. As previously mentioned, we’ll be adding photography and artwork, plus some very short fiction and poetry entries, to our blogzine in our second year, with submissions opening up this month. We’re especially looking for image entries (photography or artwork) in .jpg, .gif, or .png format (max width of 700px and height of 550px to keep image size down; we may ask you for a larger file later if your submission is accepted) that we can publish with our articles, in addition to stand-alone pieces. 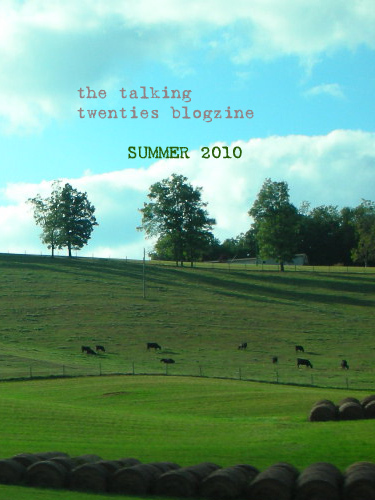 My plan for year number two is to create a series of polls titled “The State of the Twenty-Something: 2010” which will ask site visitors between the ages of 20 and 29 how they are living and what most concerns them in the coming year. I hope everybody will take a moment to weigh in when a new poll question comes out each month. ← The makeover is coming! Happy Birthday TT! I’m quite proud of what we’ve created this year & am looking forward to Year 2. Beenie: The cover looks great!